U.S. Fish and Wildlife Service announced final de-listing of the foxes native to Channel islands. CHANNEL ISLANDS — Representing the fastest successful recovery for any Endangered Species Act (ESA)-listed mammal in the United States, the U.S. Fish and Wildlife Service announced the final de-listing of three subspecies of island fox native to California’s Channel Islands on Aug. 11. The removal of the San Miguel, Santa Rosa and Santa Cruz Island fox subspecies from the List of Endangered and Threatened Wildlife brings the total number of ESA de-listings due to recovery to 37, with 19 of those overseen by the Obama administration. In the late 1990s, endemic island fox populations on San Miguel, Santa Rosa, Santa Cruz and Santa Catalina islands – four of the six Channel Islands they inhabit – plummeted by over 90 percent. At the low point, fox populations had dropped from 1,780 to only 15 individuals on Santa Rosa Island, from 450 to 15 on San Miguel Island, and from more than 1,400 to 55 on Santa Cruz Island. The decline was due primarily to predation by golden eagles and a canine distemper outbreak on Catalina Island. Listing of the four Channel Island fox subspecies in 2004 stimulated a focused, partnership-driven conservation effort involving the National Park Service, The Nature Conservancy, Catalina Island Conservancy and Institute for Wildlife Studies. Almost immediately, fox populations began to improve due to a variety of efforts including captive breeding programs and vaccinating foxes against canine distemper. Today the San Miguel, Santa Rosa and Santa Cruz islands subspecies are fully recovered. 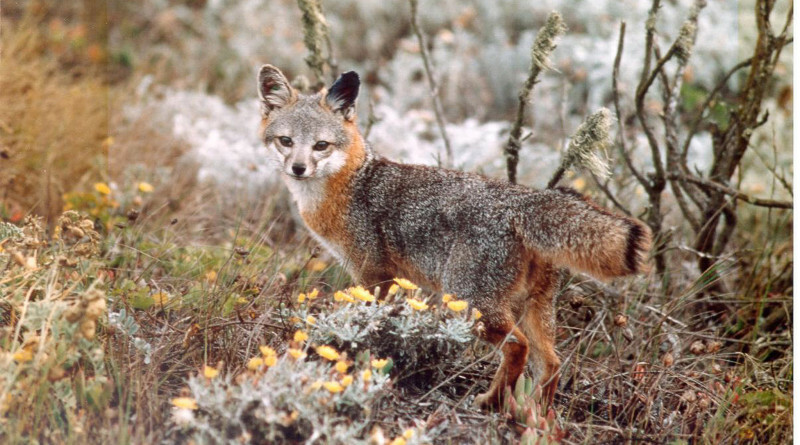 The fourth subspecies, the Catalina Island fox has now been down listed from endangered to threatened. The Endangered Species Act has helped move many species from the brink of extinction to the path to recovery, including California condors.